What should I do when my check engine light comes on? If your check engine light comes on while driving and the light is flashing, pull over immediately and turn your car off. A flashing check engine light means that something is seriously wrong with your car’s engine and you need to bring your vehicle to a garage immediately, preferably by tow. If your check engine light comes on and stays on without flashing, your vehicle is probably ok to drive but you should bring it in to a garage to have the reason diagnosed as soon as possible to ensure that the problem does not get worse. How does the quality of aftermarket parts compare to the original manufacturer’s parts? Depends on the part and the aftermarket manufacturer. Most of the time they are the same quality, sometimes they can even be better quality. It is recommended that you get your brakes checked every 3 months. Do you offer rentals or shuttle service? Unfortunately, we do not offer rentals or shuttle service. We recommend our customers use Uber if they do not have someone who can give them a ride after they drop off their vehicle. Do you offer oil changes? Yes, we offer regular, semi-synthetic, and synthetic oil changes. You can visit our website or give us a call at 661-949-1999 to schedule an oil change. What happens if I don’t change my oil? If you let your oil run out, then your engine will seize. If your engine seizes that means your engine will not run, so it is important to recognize the warning signs before it is too late. What does it mean when the engine temperature gauge starts rising? When your engine temperature gauge starts rising drastically it can mean that your engine is overheating. You should shut your car off right away and call a repair shop or towing company since this is one of the warning signs that your engine could seize. A car battery usually lasts up to 3 years. A few signs that your car may need a new battery are that your interior and exterior lights are noticeably dimmer, your engine is slow to start, a bad smell while driving, or if you are having other electrical issues. If you think your car battery needs to b replaced and you would like us to check the battery’s charge, just stop by the shop or call 661-949-1999 to schedule a time to bring your car in. What maintenance work should I have done before using my camper after not using it since the previous year? If you weren’t having any issues with your camper the last time you used it, you should only really need to have the fluids changed. If you have any questions about whether or not your camper needs any additional maintenance, you can call the shop at 661-949-1999 and we would be happy to answer your questions! How often should I have my ATV or off-road vehicle serviced? We recommend having your ATV or off-road vehicle serviced regularly every 30,000 miles. Yes, we provide towing services. If you need an immediate tow, you can reach us at 661-949-1999 Monday through Saturday from 8 am to 6 pm. If my car’s frame is bent, can my car still be fixed? Depending on where your frame is bent and how bad the bend is, your car may or may not be able to be fixed. We recommend having the severity of the bent frame diagnosis at a garage when a technician can physically see the damage. What are the signs that my air conditioning is going? The biggest sign your car’s air conditioning may be going is that the air coming from your car’s vents will not feel as cool or as strong. You may hear loud noises coming from the A/C when you turn it on, and you may also notice a visible leak coming from your car when it is in park or idling. If you think your air conditioning is going, you can call the shop at 661-949-1999 to schedule an appointment for one of our technicians to diagnose the problem. Although it is preferred you make an appointment, we do our best to help any walk-in customers. If you would like to make an appointment for an estimate, you can reach the shop at 661-949-1999. Do you stock aftermarket parts or do you order for each job? We order all aftermarket parts per job. It does mean a little bit of a wait for the part to come in, however we’ve found that it eliminates an unnecessary overhead and ultimately helps to lower the cost of the parts for our customers. If you are interested in ordering an aftermarket part, you can give the shop a call at 661-949-1999 and we would be happy to help you order the correct part for your vehicle. Do you work on classic cars? Yes, we work on tons of classic cars. If you’re looking for someone to help you restore your classic car, give us a call at 661-949-1999, we would love to help with any part of your classic car rebuild or repair. Will you help me find rare parts for my classic car? Yes, we love a good classic car part hunt and would be more than happy to help you find any part – no matter how rare. 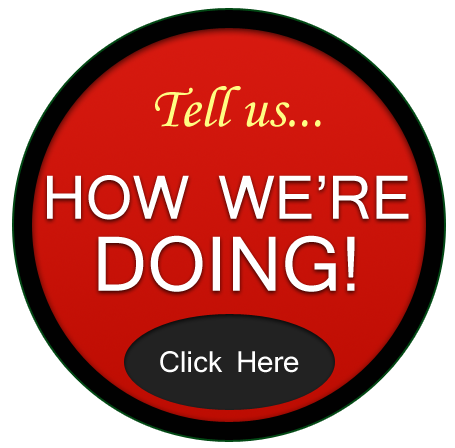 Reach out to our shop at 661-949-1999 to fill us in on what part you’re trying to find. Do you work on motorcycles? We work on motorcycles sometimes, depends on the type of work you are looking to have done. If you are wondering if we can help you with a repair or custom fabrication for your motorcycle, you can reach us at 661-949-1999. Can you help me increase my car’s horsepower? Absolutely! Just give us a call at 661-949-1999 for more information.